The John Deere Classic is an event that has featured on the PGA Tour for nearly 50 years and continues to take up this spot on the schedule, the week before the Open Championship. A chartered flight from Illinois, will take the winner straight to Scotland, to help them best prepare for the third major championship of the season, as the last Open Championship spot is up for grabs here, should the winner not already be exempt. Forgetting the lure of the Open Championship for a moment, this event is well respected in its own right, and has provided us with some memorable moments over the years, with Steve Stricker completing a three-peat in 2011 perhaps the most memorable in recent memory. Another multiple winner of this event is none other than Jordan Spieth, who in 2013 won his first PGA Tour title here, and two years late claimed victory once again. Between his two wins here, Spieth won a further three times on Tour, all in 2015, including wins at the Masters and the U.S. Open. He felt playing here the week before the Open Championship was the best way to prepare for what he hoped would be his third straight major win. He didn’t quite get the job done at St. Andrews in 2015, however he did finish T4, one shot behind the three play-off protagonists. This vindicated his decision to opt for the John Deere instead of the Scottish Open or a week off entirely. In terms of young superstars making their name here, Bryson DeChambeau returns this year as defending champion, after securing his first PGA Tour title here 12 months ago. A winner again already in 2018, DeChambeau will be hoping for another solid performance, before he plays in his second Open Championship. TPC Deere Run is a course that allows players to go low, and demands the winner comes out on top in what has to be deemed a “birdie fest”. There are seven Par 4’s under 435 yards at TPC Deere Run, so these are very much scoring holes for the most part, and players will need to make sure they pick up multiple birdies here, as well as on the Par 5’s. A 20-under-par score has to be the target for any player in the field this week, with the winning score being this or lower in 7 of the last 9 renewals. Dechambeau won last year at -18 and Spieth won in 2013 with a score of -19, but the average winning score here has been -20.2 over the last five years. Steve Stricker holds the tournament record score at -26, and whilst is significantly lower than most winning scores (-22 the next best – shot four times), it shows what can be shot here. Hitting greens with regularity will of course be highly advantageous here, in order to setup enough birdie opportunities to win. This is how the last five winners of this event ranked in these categories both on the week they won and at the end of the season. So Jordan Spieth is a bit of an outlier in more ways than one, in terms of how he gets the job done here. He didn’t excel on the Par 5’s in either 2013 or 2015 nor did he hit a tonne of greens, proving there is more than one way to skin a cat. DeChambeau crushed the Par 5’s and hit plenty of greens en-route to victory and nobody hit more greens than Ryan Moore or Brian Harman the week’s they won. Moore and Harman also ranked high on the Par-5’s showing that you generally do need to take advantage of the long holes here. You can also see that the majority of the recent winners upped their game significantly on the week they won here, as in general they had been struggling in the main key areas throughout the season. Spieth is an exception in both years he won, as he was excellent in pretty much every area in both 2013 and 2015. I think it would be foolish to ignore the run of form Niemann has shown since turning pro, which has seen him post top-10 finishes in 50% of his 8 starts so far. His T5 finish last week was the latest in this run and he will be full of confidence heading to a course which surrenders birdies at an exceptionally high rate. He does not yet have enough starts on the PGA Tour to qualify from a statistical standpoint, but if he did he would rank 1st in Par 4 Birdie %, Par 3 Scoring and Final Round Scoring and 2nd in SG: Approach-the-Green. Those are all valuable areas to rank highly in, as is Birdie Average, where he would currently sit 5th. In addition to those fine statistics, Niemann would also currently place inside the top-8 in Par 4 Scoring, Putting inside 10’, Scoring Average, SG: Off-the-Tee and SG Total. Whilst he may appear to be short odds, considering he has only just secured his PGA Tour card for the first time, his ceiling is clearly very high and his talent level far exceeds plenty of the field already. A spot in the Open is up for grabs, as is his first Tour victory, and I expect him to make a very strong run at securing both. We have seen both DeChambeau and Spieth claim their first PGA Tour titles here in the last five years, and Niemann certainly looks to be in the same category as those in terms of potential, so will see this as an opportunity to breakout in the same event, at what would be a similar stage of career. I put up Wes Bryan at 150/1 at the Travelers because he looked to be steadying the ship and whilst he didn’t place there or last week at the Greenbrier, he did finish 47th and 26th and these were his 4th and 5th straight made cuts respectively. His course form here suggests he loves this event finishing 8th and 3rd in his two starts here, and on both occasions he led the field in SG: Approach-the-Green, so he certainly knows how to find the greens and pick up strokes on the field when doing so. We know that Bryan is capable of getting hot with the putter and as long as he can keep his ball in the fairway this week, something that should be made easier as he has the option to club down, he could well be in for a big week. With course form on his side and a current run of cuts made, confidence will be at a season-high for Bryan this week and I see no reason why he cannot pick up his second PGA Tour victory, booking himself a spot at the Open Championship in the process. This is quite clearly a birdie-fest event, and one player who will relish that fact is this year’s Valero Texas Open winner and CareerBuilder Challenge runner-up, Andrew Landry. 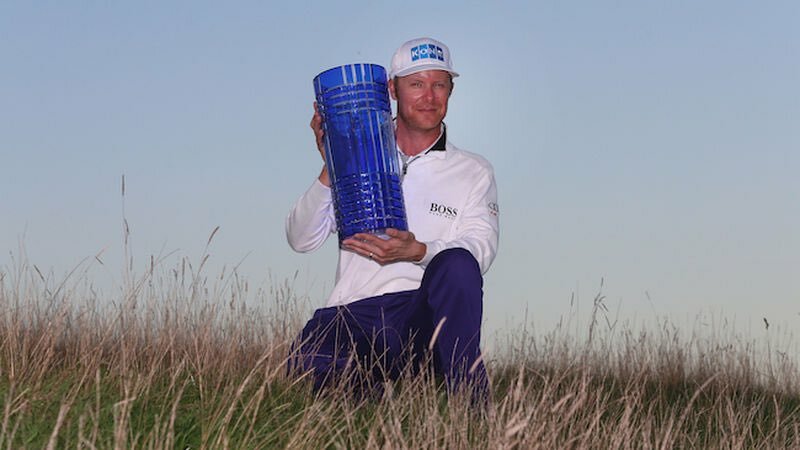 Landry had to shoot -17 to win the Texas Open and lost out to Jon Rahm in a play-off in California, after tying the Spaniard with a 72-hole total of 266 (-22). Landry rose to prominence and is still well remembered for leading the U.S. Open thru 36 holes in 2016, an experience that may well have helped shape him. After 54 holes, he slipped behind Ireland’s Shane Lowry at Oakmont, but went into the final round with every chance of winning on his first ever major start. It wasn’t to be for Landry who slipped to 15th in the end, but two years later he is a PGA Tour winner and will be looking to build on that. A win here will get him into the Open Championship and will give him another shot at major success, and he has every chance of winning the title and the prize that goes with it this week. Two years ago, Landry finished 8th here on debut, shooting four rounds in 60’s and three successive 67’s from Friday onwards. Landry has been a bit boom or bust this season, with a 1st, a 2nd, a 4th and two more top-8’s to go along with eight missed cuts or withdrawals. An 8th last time out at the Quicken Loans National is a timely boost however, as he returns to a course and event that suits. Returning a better player and now a Tour winner, Landry has the ability and nous to go ahead and get his second PGA Tour win and he looks a decent price to do so, in a weak field.